Some people have argued that Calabria is only welcome to two types of people. The first type is the Calabrians while the other type is adventurers. Calabria can cause fright and bewilderment to some, while to others it provides a rewarding experience that is far removed from the stereotypical presentations of the Italian countryside. What makes this region unique is that most of its delights such as resorts and seacoast villages seem to hang on the cliff edges. Calabria lies in the south of Naples. It borders Basilicata to the north, Sicily to the south-west, Tyrrhenian Sea to the west and Ionian Sea to the east. In pre-historic times, Calabria was inhabited by Italic Oscan speaking tribes; the Itali and the Oenotri. Due to Greek influence, the region was once a leading city of Magna Graecia in the 3rd to 6th B.C. With the fall of the empire, the Byzantine Empire conquered the region and transformed it into an agricultural success. However, as the border between Arab emirs in Sicilian territory and Byzantine territory, it was demoralized and depopulated. When Greek magnates overran Byzantine rule, Calabria Citeriore became an administrative division in the Kingdom of Sicily. Under Angevian rule, it became a constituent division of the Kingdom of Naples. In mid 20th century, peasant revolts led to the eventual unification of Calabria to the rest of Italy. Initially one of the poorest regions in Italy, Calabria has grown to become one of Europe’s main seaside attractions with beautiful coastlines, white sandy beaches and snow peaked mountains. Currently, the regional capital; Cantazaro, is where the Regional Council seats. Other important administrative cities are Vibo Valentia, Cosenza, and Crotone. Most of Calabria’s rich history of art is concentrated in these four cities. In Reggio Calabria and Cosenza one finds archeological excavations remains from the Roman Age. Since this region was once under the control of the Byzantine Empire, religious buildings are full of Byzantine influences. Several monuments possess the Baroque signature. Apart from these external observations of Roman, Byzantine, Baroque and Gothic influences, the Catanzaro Provincial Museum is a showcase of relics spanning from the Neolithic era to the Greek and Roman Age. The National Museum in Reggio Calabria houses prominent collections in modern Italy. Almost all archeological masterpieces of Arab, Byzantine and Paleolithic art, Iron Age and Bronze relics, pictorial tables, tomb outfits, as well as the famous bronze works from the 5th century are included in this collection. The Museo Interdiocesano, the Civic Museum, and the Cathedral are other historical delights in Cosenza. 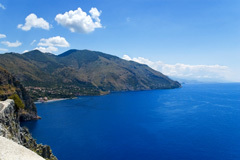 Calabria has one of the most beautiful coastlines in Europe. When the poet Gabriele D’Annunzio called this coast as “il più bel chilometro d’Italia” (the most beautiful kilometer in Italy) she was referring to the fascinating coastline mapped with Hinterland Mountains such as the Pollino chain, the Sila forested plateau, the Apromonte and the Serre. Generally, this rugged terrain does not favor extensive agricultural or industrial development, but this is currently being compensated for by tourism. Even though practiced to a small scale, the rugged mountains have wheal fields, age old olive trees that have grown to the height of a fully grown eucalyptus. Ancient ruins, the clear blue seas, white sand beaches, fine cuisines, coupled to the unmatched hospitality characterize Calabria and Calabrians. Cosenza is one of the region’s most interesting towns, and thanks to its positon midway between the Tyrrhenian and the Sila plateau, makes a useful base for exploring the surrounding area, particulary the Sila mountains. Thanks to its cultural past, Cosenza was known as the Athens of Calabria. Today, the city remains an important historical center and is considered one of the best preserved in Italy, with renovated palaces, medieval squares, old craftships and lively areas full of people in the evenings. The city is also home to the University of Calabria, one of the first academies in Europe (1511). 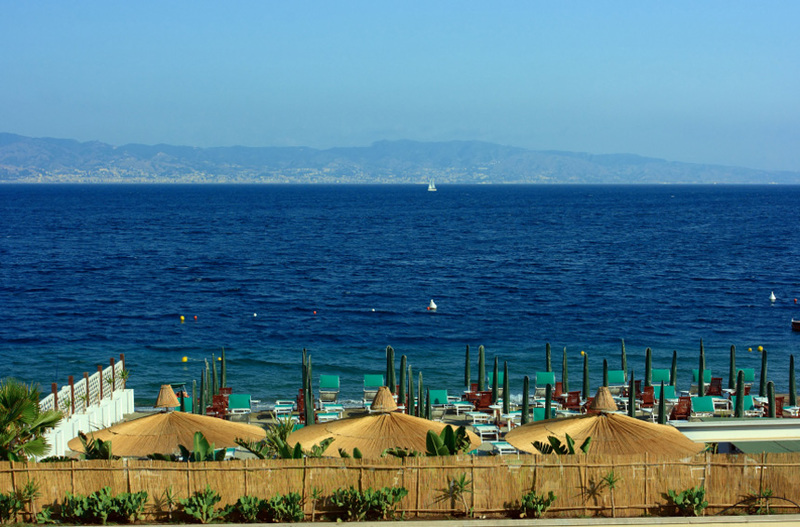 Located at the toe of the Italian boot, Reggio Calabria is the capital of the province of the same name and was once the capital of the region until 1970 when it was switched to Catanzaro. Reggio was one of the first ancient Greek settlements of the Italian mainland and is now the largest and oldest city in the region and the second oldest city in Italy. Reggio Calabria does posses a few attractions, most notability the Museo Nazionale with the Bronzi di Riace exhibit, two bronze statues found in the Ionian Sea near the village of Riace. 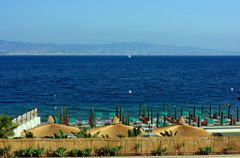 Along the waterfront is a pedestrian promenade that provides wonderful views of the Sicilian coastline and Mount Etna. 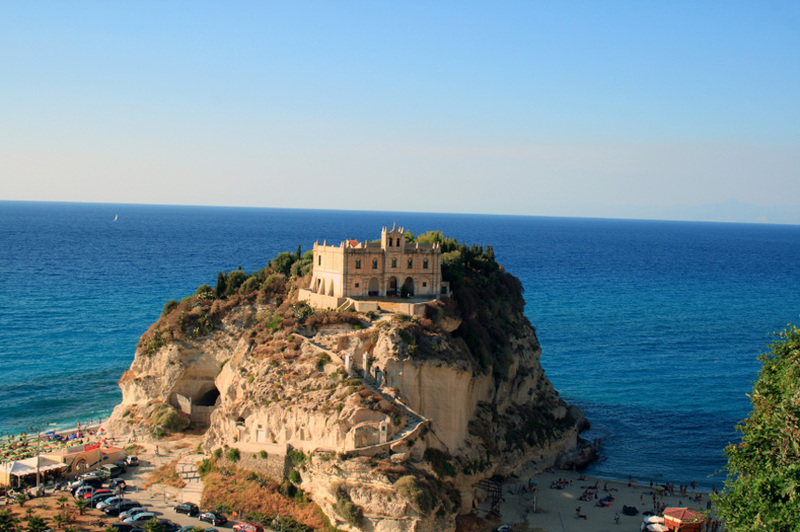 Considered one of the prettiest and most fashionable towns on the southern Tyrrhenian coast, Tropea has been able to maintain its charm that is often missing from other Calabrian resorts. There are good beaches all around Tropea as well as plenty of accommodation. The views from the upper town over the sea and the church of Santa Maria dell’Isola are fantastic.